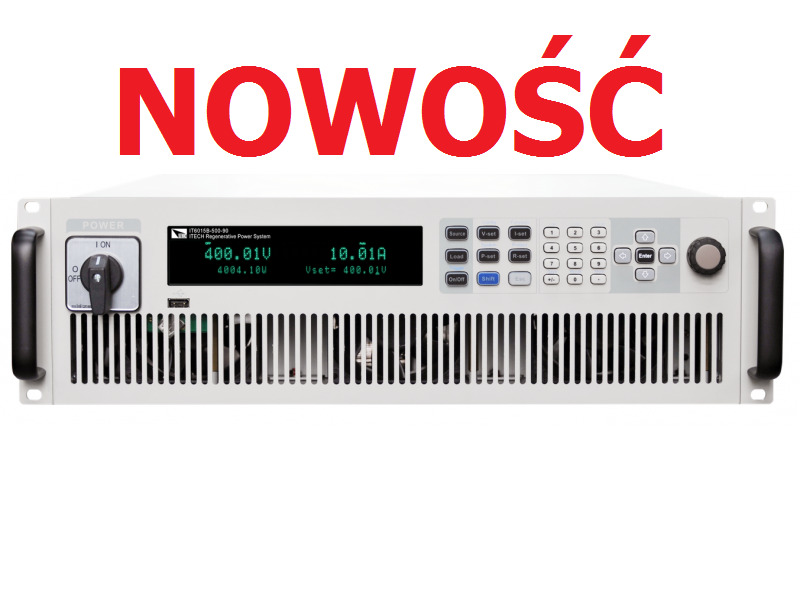 ITECH wprowadza nową serię produktów: IT6000B. Jeden przycisk przełącza pomiędzy źródłem mocy oraz obciążeniem elektronicznym. IT6000B zapewnia 7 zakresów napięcia, do 2250V, wspiera konfigurację master-slave. Wbudowany generator umożliwia tworzenie arbitralnych przebiegów. 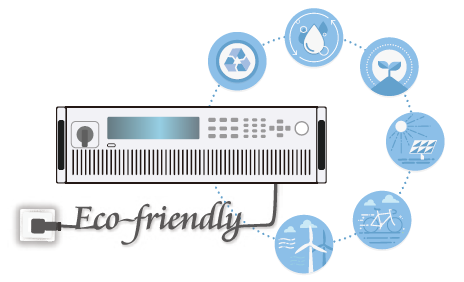 IT6000B innovatively incorporate two devices in one: a bidirectional power supply and a regenerative electronic load. The devices offer the functional button on panel for easy two-quadrants operation, either as a bidirectional programmable DC power supply or as a DC electronic load with recovery function. It reduces the space , cost and efforts on DUT for separate units. 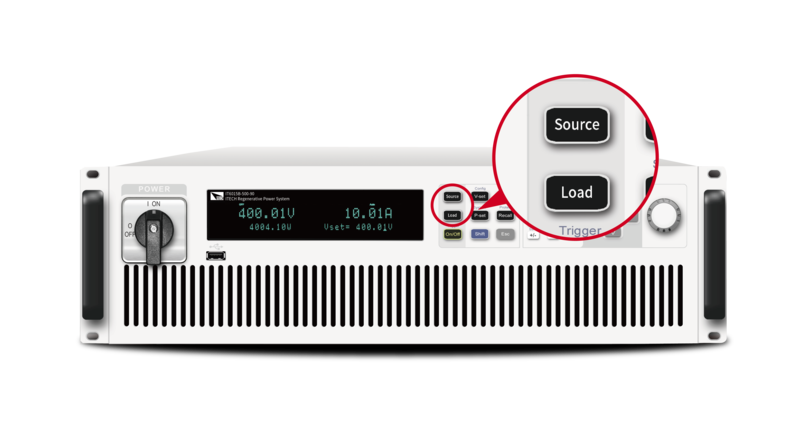 The IT6000B Series combines bi-directional power supply and regenerative load function in one. 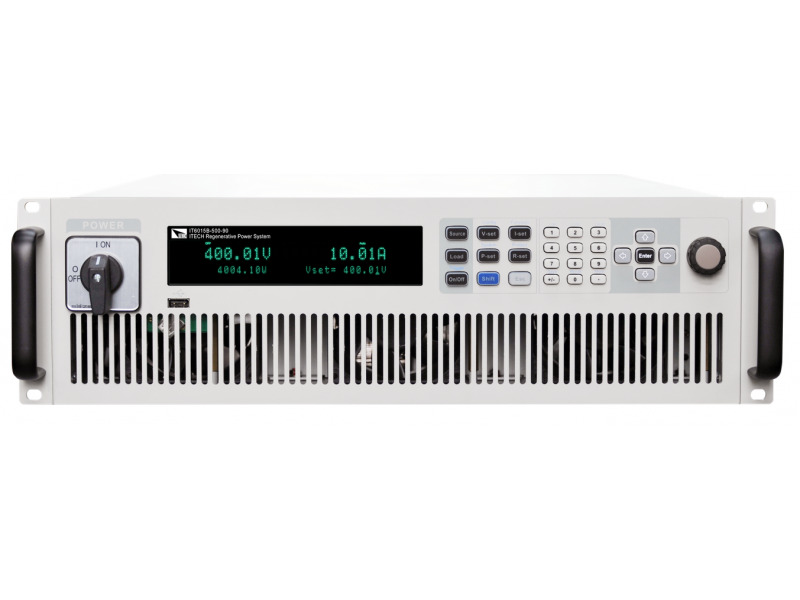 Unlike traditional power supplies and E-loads, for which there will be short transitions and incontinuity in the middle of positive and negative current switching, IT6000B is a standard high-speed bidirectional power supply. It can switch seamlessly between source and sink mode fast and continuously, which avoids voltage or current overshoot effectively. It can be applied to battery test, cell packaging equipment test, battery protection board test, etc. user's electricity cost, but also avoids the use of air conditioning or expensive cooling systems. Most of the conventional electronic loads are energy-consuming loads. In addition to the high cost of electricity, large amounts of carbon dioxide, sulfur dioxide, nitrogen oxides and other greenhouse gases or harmful gases are generated during power generation, which is harmful to the environment. IT6000B can avoid any of these by its regenerative function. IT6000B optional SAS1000 SOLAR ARRAY SIMULATION SOFTWARE, users can easily use the software to output, measure, display the maximum power and track status of photovoltaic inverter in real time and record value. With the built-in EN50530 / Sandia NB/T32004 / C GC/GF004 /CGC/GF035 regulatory testing procedures, it is simple for users to simulate I-V curves, test the static and dynamic MPPT performance of PV inverters and generate reports. Solar simulation power supply also provides the shadow and table mode, Users can enter up to 4096 points array to edit any shielded IV curve and achieve dynamic shadow effect. Or users can store 100 I-V curves under different irradiation and temperature, set operation time and order to test the long-term MPPT of photovoltaic inverters under different climatic conditions. Automotive electronics may often experience power transients during vehicle start-up and operation. 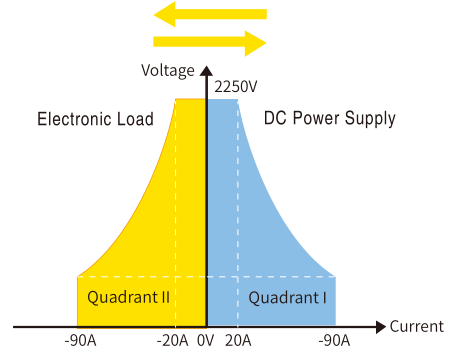 To ensure that the device under test can withstand these actual transients, the tester must simulate worst-case power transient conditions during the test. According to the relevant standards of the industry, the IT6000B has built-in voltage curves for DIN40839, ISO-16750-2, SAEJ1113-11, LV124 and ISO21848 standard automotive voltage curves. 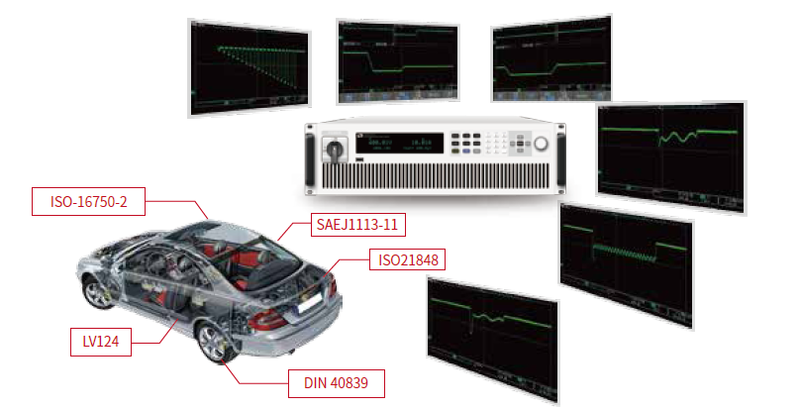 Users can easily recall various waveforms directly, such as voltage drop waveform during vehicle starting up, pulse waveform and other related automotive electronics waveforms for performance tests. Available voltage grades in 12V, 24V and 48V. speed or no overshoot and make the test more flexible. Users can choose CC/CV loop response time and loop working mode to decide the output to be voltage high speed mode or current no overshoot mode. This unique function makes it suitable for the application of high power integrated circuit test, charging and discharging test, military and transient simulation test of automotive electronics etc.